I have been contacted by people from a web called Grammarly, which is a useful tool for checking your academic, literary or daily writings, who wanted to promote the web through a post on my blog, so I thought that a post about writing would suit very well for that purpose! I won’t talk about writing books or articles because I don’t know much about it, but just about our daily writing: our posts on the blogs, our projects at college, our emails, etc. The difficulty in writing I think that starts from the very beginning: since we are little babies and we learn to speak BEFORE learning to write and then, when we start writing down our first words, just 4 or 5 years later we realize that things are not that easy. For a start, there are syllables in different words that are pronounced the same but don’t have the same sequences of letters; in Spanish they are not entire syllables, but a few letters that are pronounced the same and if you put the wrong one, you will make dictionaries cry. The spelling mistakes are here to stay, but they are relatively easy to avoid: just by writing on Microsoft Word or any other smart program which corrects misspellings! Seriously, I’ve read some Spanish blogs that would improve their posts only by doing it. In Spanish there are also tricky written accents which make a completely different word if the accent is there or not. For example, “canto” means I sing, and “cantó” means he/she sang, so not only does the accent change the person, but also the tense. 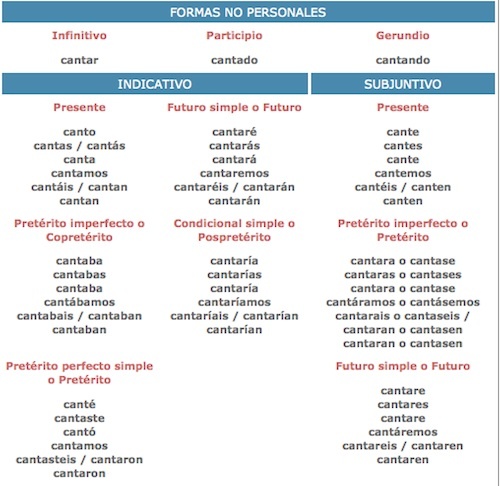 Thank God we have the online Dictionary of the Royal Academy of the Spanish Language where you can check all the tenses of the verb “to sing” and which is really easy to use, despite the fact that some people prefer ignoring it. Is it too difficult to write something with an online dictionary (in any language) open? Then we have the change of register we have to achieve when we write, because we don’t speak as we write, nor the opposite (except for some people who are walking encyclopedias and that are difficult to follow). When we chat with a friend we usually use short sentences and our gestures and intonation help us to understand each other, which is completely different to when we write because then we have to use punctuation and man, that is a big issue. I think that some people just don’t know that commas exist; sometimes even question marks disappear when there is a question in the posts they write, and it is really unpleasant to read a six-line paragraph without breathing because there is no punctuation. Recently Spanish book bloggers were talking about this on Facebook and some people said they couldn’t understand why if you read so much you are not capable of writing properly regarding spelling and punctuation. I simply try not to follow blogs whose reviews are too badly written because I can’t concentrate on the review; only in the mistakes. But the discussion has made me think for the umpteenth time if there is any relation between reading books and writing well. Perhaps, if we read focused on the way the books are written we would learn a little, but seriously, I just “read” when I read. Perhaps I’m more conscious of the vocabulary of the book I’m reading, but I don’t think I notice much more except in two cases: first, when I’m reading dialogues and the characters sound strange. Sometimes the characters talk in a very implausible way and this one of my main reasons for not liking a book; because they aren’t real people thanks to the way they speak. The second exception comes when I read a text out loud. By the time I was beginning to read in English I liked to read a book and listen to the audiobook at the same time, and then I noticed the punctuation because the narrators read it really well. So when I write something for any of my blogs, I like to read it out loud in order to figure out how it sounds. I have to say that I usually have to change several parts of the text before I am happy with the result. Finally, the narrative style is different for each other when we review our books, but it is really different from the way we would talk with a friend about it. You can see it on the blogs that make video reviews: they are explaining the plot with short and direct sentences, and when you write down your review, you write more or less long paragraphs that have to sound good to make them easy to read and make the reader keep on reading to the end. 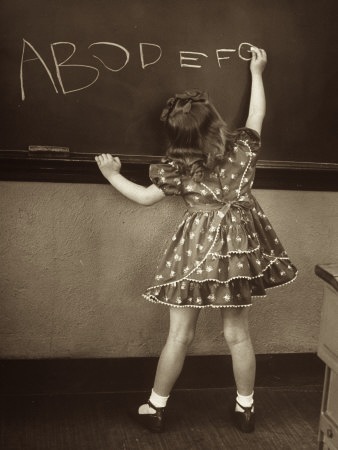 And how do we learn how to write? I think the only way is by writing regularly more than by reading very much. The best example I have found is looking back at my own writings when I started blogging on my Spanish blog, four years ago: the reviews were clumsy and I think I sometimes failed in expressing the ideas I wanted to bring up. I feel both ashamed, because I don’t like those reviews and I have thought a lot of times of re-writing them, and also proud because my writing has clearly improved throughout the years, which is positive, but still… When I see I have clicks on old reviews I’m always afraid of what those visitors have been reading. So, are you aware of the way you write? Do you have any advice in order to do it well? 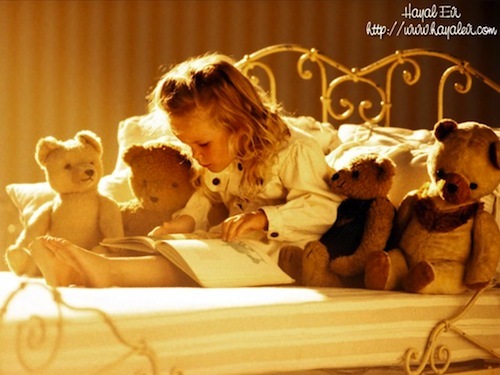 Do you think reading makes you write better or there are other factors? Is writing important for you to follow a blog? A very useful tool. Thank you very much for this information. Thank you for reading, Mariuca! I agree with many of the things you say, especially when you talks about writing. In my opinion more you write, better you do that. Of course reading is capital also to write well, but writing often makes the difference. I also think that writing is the key, but I’m not sure about reading; I know a lot of book bloggers whose writing is not very good, so… I really have no answers! Very interesting, Isi. I agree with you: I don´t read blogs when I see that there are a lot of mistakes in a post. In my opinion, It´s a waste of time. The writer must make an effort. If not, the reader won´t continue reading. I have the same feeling with my older post. I think is a common belief because we have been improving our writing skills. The diference is the experience. We know exactly what we want to say something, and how to say it. The problem that I see is that usually the bloggers don’t know their writting is not good, but who dares to tell them? That’s a problem. Writing in my opinion mostly improves through practice. As you said, looking back on your older reviews, you can see the transformation. I am just at the beginning of that process, but I do hope that my writing will improve too. Reading, I think, will help to broaden your vocabulary, especially in a foreign language. Your advice to “read out loud” is very good. I will definitely try that. Sandra: yes, reading out loud makes you have a better idea about how your writing sounds, when you have to stop, what word you should change… it’s definitely a good tip for me! And practising makes things change a lot for the better; the problem is that we want to write well right now! 😛 But we are not in a hurry, I’m glad I can see now I do it better (in both languages). I used to keep an Italian blog for writing practice, but it took me SO long just to write one post. I didn’t want to sound uneducated! Now I just comment on Italian book blogs or message boards instead. Less content to write, but still plenty of practice. You’re right – writing is not easy! Well, I’m not talking only about a foreign language, also our mother languages are demanding when we have to write and and we want to do it well (at least it is for me!). I also found it difficult at the beginning to write comments in English, and I’m pretty sure some of them were quite difficult to understand! But I think that the idea of the blog is fantastic: perhaps now you have to spend a lot of time, but it will get easier little by little – promise! This does sound like a useful thing – I’ve also seen a post about Grammarly on Rebecca’s blog. English is not my first language, so writing isn’t an easy thing, however I will never post a review with spelling errors – it’s a pet peeve. With regards to grammar, I try as much as possible not to make any grammatical errors. I must admit that I only look out for the grammatical errors I am AWARE of, so I should definitely check out Grammarly. Writing is difficult even in your own language, because I think at school they don’t really teach you to do it well. You hardly do a writing every three months and then you go to college and all of a sudden you have to write lots of essays, as if you had done it before! So I think we have to practice a lot, in both languages! About Grammarly; I’ve seen there is a free version you can try; then you have to pay for it, if you want to use it. I think it is useful for journalists, for example, or for people who write as a job.